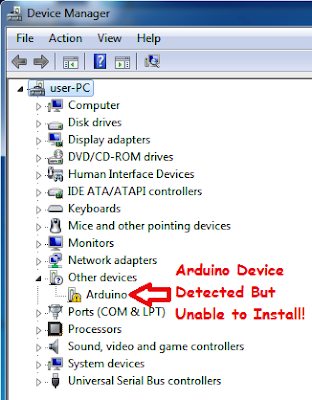 NOTE: Before installing any Arduino Driver, please disable the Bluetooth device, because Arduino & Bluetooth devices are incompatible to each other, you will not able to install any Arduino board until Bluetooth device is turned off. 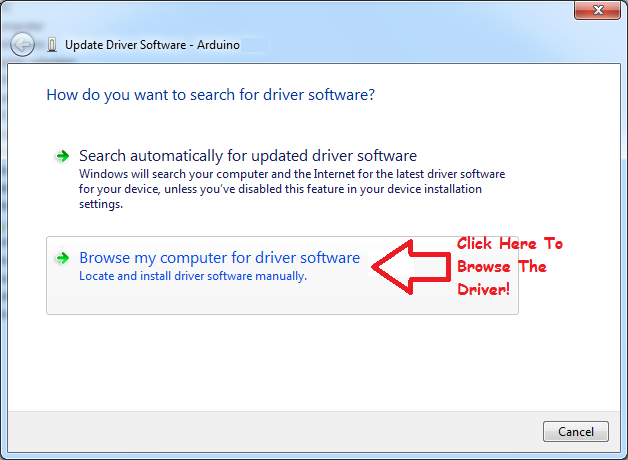 This article is about How to install drivers for an Arduino(any type) on Windows OS & then loading a sketch to test the installation is correct or not. 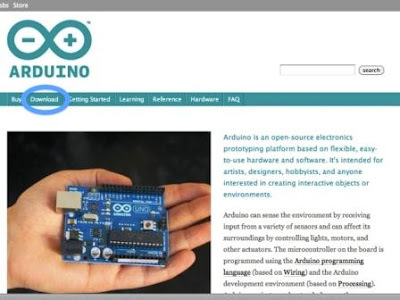 Go to Arduino website & click on the download link to go to the download page. 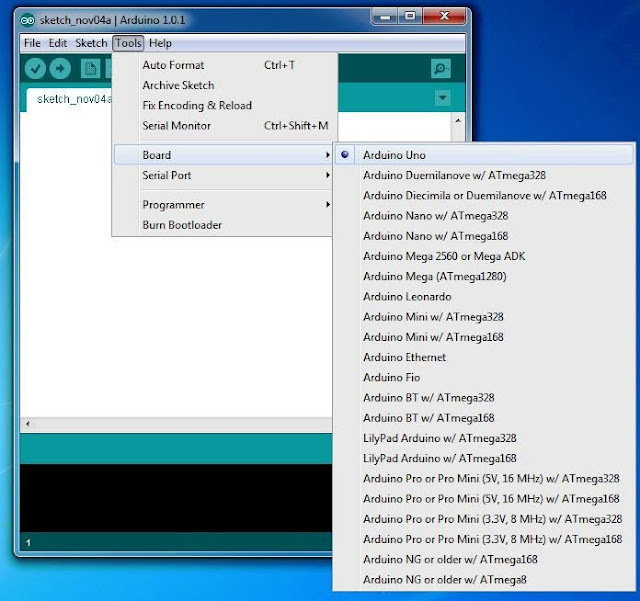 On the download page, click the Windows link to download the Arduino software for Windows as shown. After downloading, locate the downloaded file on your system & extract the folder from the zipped file. Place that at suitable location. Locating Downloaded Arduino IDE Zipped File. Plug the Arduino board into the PC. Windows will try to install drivers, but will eventually fail. 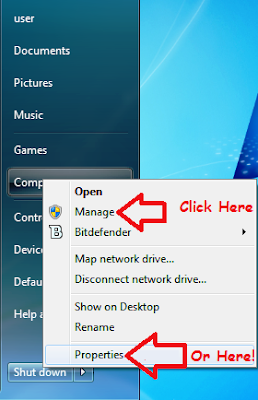 Right-click My Computer on the Start menu and then click Properties or Manage from the pop-up menu, to open the Device Manager. The Device Manager will open and display the Arduino Device that you have conetced. (Depending on the board you have connected it will show its name). Here you will see the yellow exclamation mark, that indicates Arduino Device is unable to install. 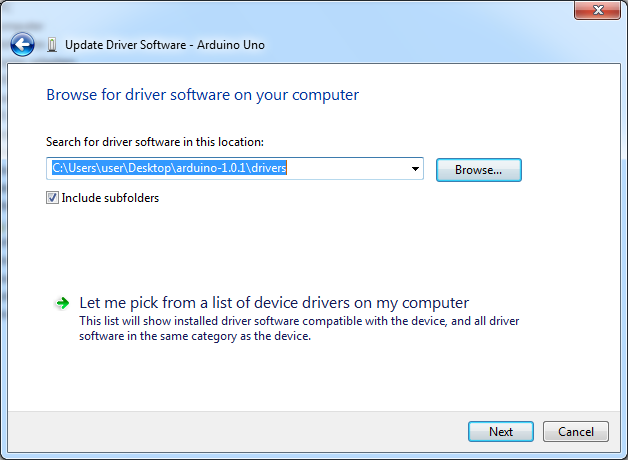 In the Device Manager Window, right-click the Arduino board & then click Update Driver Software, on the pop-up menu. 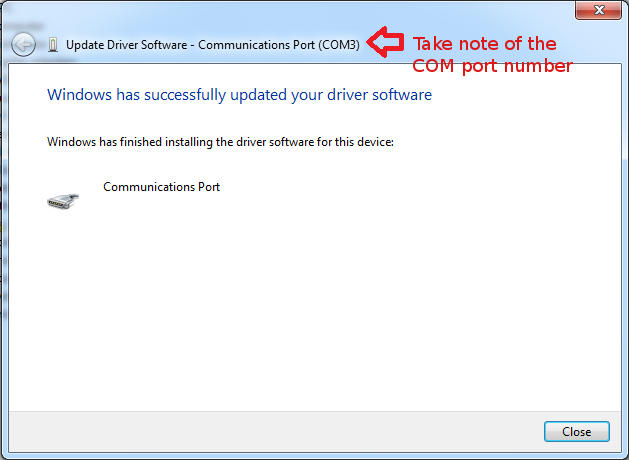 Now the Update Driver Software dialog box will pop up. 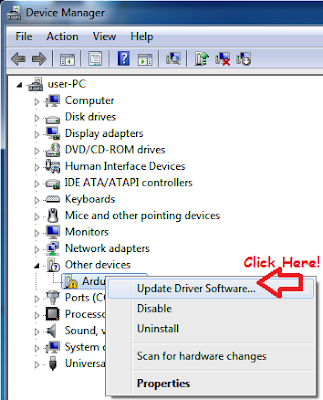 Click Browse my computer for driver software to install Driver Software Manually..
Click Browse Button, to browse the driver folder. 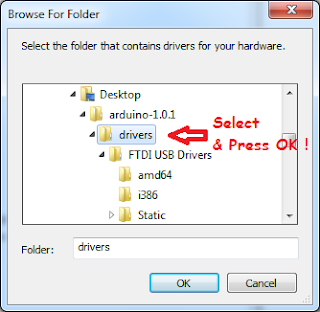 Select The Arduino Driver Folder & Click OK.
After selecting the driver folder, click the Next button. Click on Next After selecting the driver location. 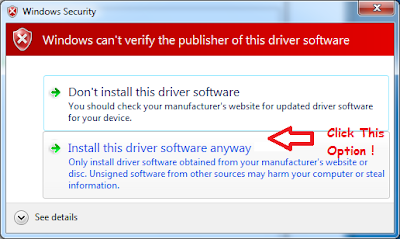 Click On The Option, "Install this driver software anyways"
After a while, the driver installation will finish & you will see the following dialog box. Take note of the port number that the Arduino was configured in. 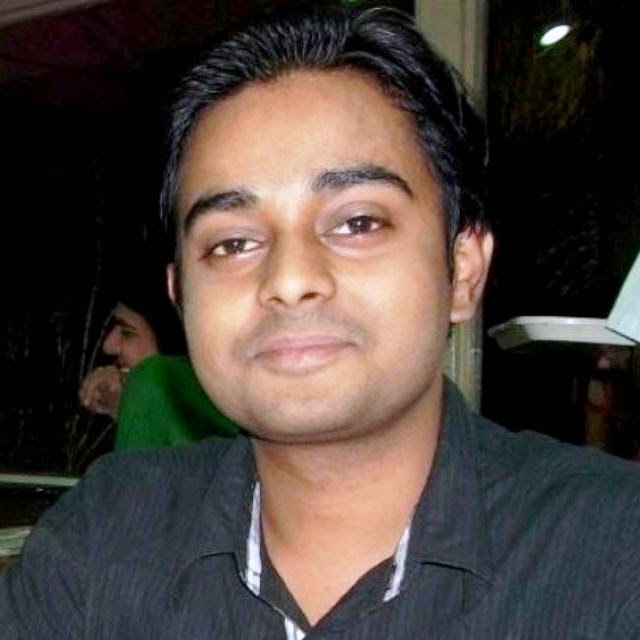 In this case it is COM3. If you are seeing this window the Installation is complete. Now Click on "Close" button. The setup will only need to be done once, unless you change the board type or port that the Arduino is connected to. 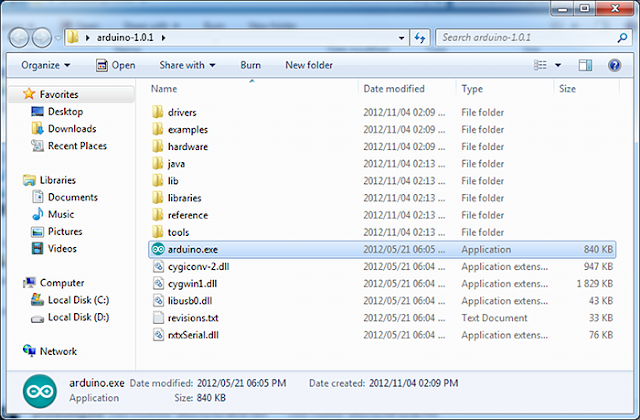 Just Navigate to the folder that you have kept for Arduino IDE & start the Arduino software IDE by double-clicking the Arduino application. Now check that the correct serial port is selected and change if necessary. This is the serial port that you took note of after installing the Arduino driver. Select the Computer Serial Port that the Arduino is Attached to.